AN ALL-VILLA RESORT OVERLOOKING A PRIVATE STRETCH OF BEACH IN VIETNAM. 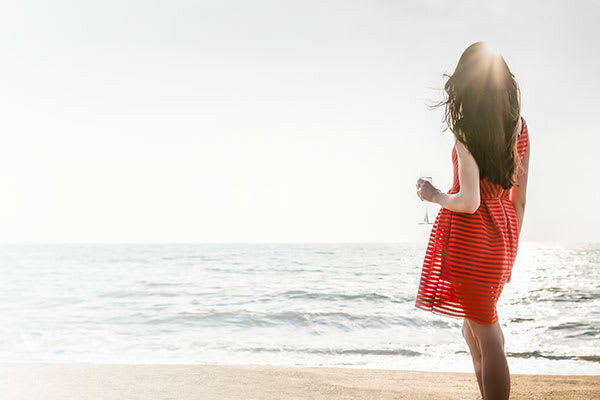 Among the finest beach resorts in Vietnam, surrounded by mountain on three sides and overlooking the Bay of Quy Nhon, Anantara Quy Nhon Villas offers beachfront basking and adventurous discoveries. Only 26 villas dot seven acres of lush landscaping fronting a private cove. Laze by the pool snacking on gourmet street eats served by your butler. Luxuriate with a synchronised four-hand massage at Anantara Spa. Explore surrounding ruins, fisherman’s villages and uninhabited islands just off the coast. Hide away in a dramatic setting built into the hillside. Ocean view villas boast cliff-edge cantilevered pools fringed by lush foliage. Wake up to lapping waves. Stroll the beach at sunrise. Enjoy unfettered beachfront living in a private cove embraced by natural rock formations. Journey into the heart of Vietnam with bucolic countryside, majestic mountains and relics of the ancient Cham civilisation. Perched overlooking a pristine bay with emerald water and golden sands, Anantara Quy Nhon Villas is the gateway to discover the secrets of this hidden gem. Meet our newest Villa Host, Huy! He started his Anantara Quy Nhon journey as a bellman and, showing a great willingness to learn, has just been promoted to Villa Host. Well done Huy! @world_of_smartie has admired one of the most spectacular sunrises in Vietnam. Start your day with a healthy freshly-squeezed juice, while we bring a selection of breakfast treats to your table.